Search the latest Parkridge real estate listings in East Regina below! 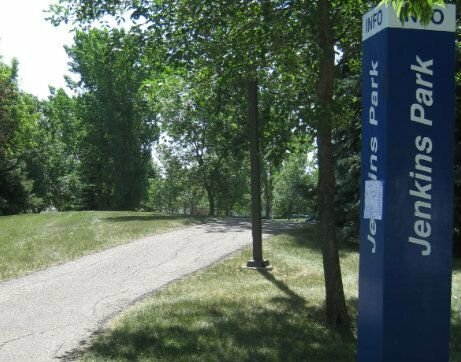 Parkridge is a stable, family-oriented, residential neighbourhood located on the east side of Regina. Parkridge real estate is mainly made up of single, detached homes and attractive townhouse condominiums within walking distance to several schools and day care providers. Residents of the east end enjoy the convenience of the shopping and amenities located along Victoria Avenue. There is a vast selection of big box stores like Costco, Superstore, BestBuy, Winners, and many others. Browse through beautiful Parkridge homes for sale available below, or read up on all that this popular East Regina neighbourhood has to offer new home buyers. If you are looking to do renovations and maintenance on your home, Home Depot and Rona are just a short distance away from the majority of Parkridge homes for sale. Looking for an evening out with the family? The east end of Regina has dining experiences for everyone, from family restaurants, to fast food chains, culinary bistros, and pub-style dining. The Ross Industrial Park, CO-OP Refinery Complex and professional businesses and services located along Victoria Avenue are just a short commute to get to work. Prince of Wales Drive gives you quick access to Highway #1 going east or west, and Victoria Avenue takes you directly into the heart of downtown Regina. Living in Parkridge is convenient and an ideal community for active and busy families with children of all ages. Would you like to learn more about the Parkridge homes for sale? We encourage you to contact the Tourney Group online or call 306-789-1700 to chat with one of our qualified Regina real estate experts.